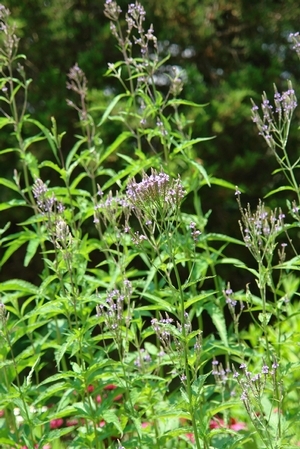 Tall, thin spikes of purplish-blue flowers throughout the summer. 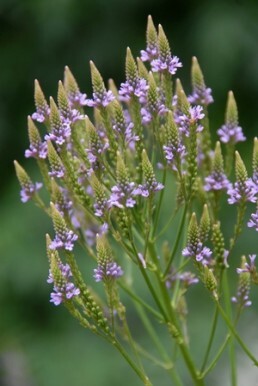 Verbena hastatais a wildflower that commonly is found in wetter meadows, stream banks and ditches. 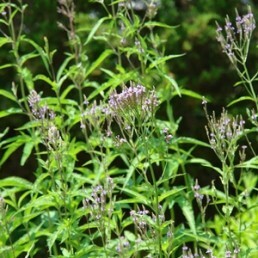 It is a clump-forming perennial that grows about 2 feet tall, and then has 2 foot tall, branching flowering stems. Flowers are purplish-blue and appear over a long-bloom period.